Magaya chutney is kept every year during summer season,by most of the Indians,in India.This one is a pickle,made by raw mangoes.Any how many indian homes have a stock of magai,so iam referring them.Instant chutney can be made with magai which can be used in dosas and idlis. Green chillies (optional )small slits of 1 no. Place magai in a bowl. Add curds to it and mix,keep it aside. Mean while,place a pan on the stove,add oil to it. After heating add mustard seeds ,after they splutter add onion slits and garlic flakes. Saute well,lastly add curry leaves and switch off the stove.Let it cool. 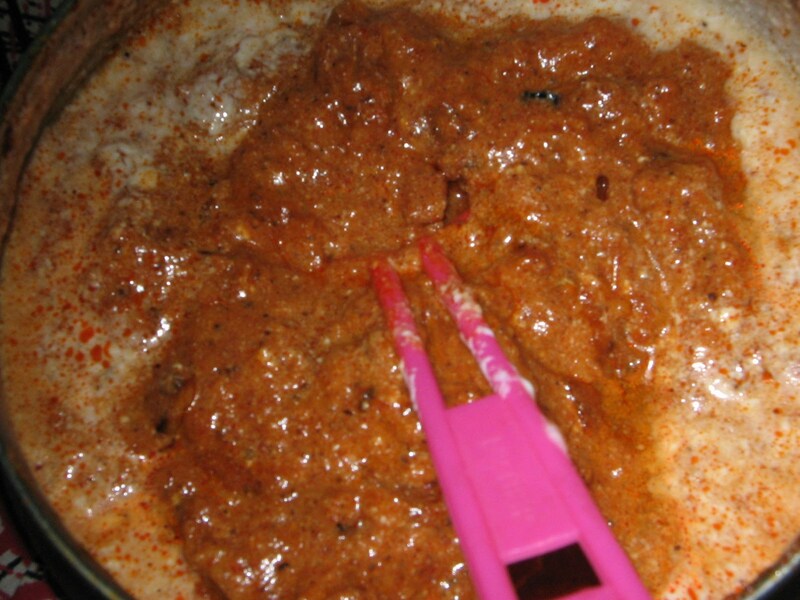 Mix well with magai and curd mixture ,and serve in a bowl. If stored in freezer it will remain fresh for 2 weeks. Can be used with idlis ,dosas and chhappathis.Even ideal with rice.